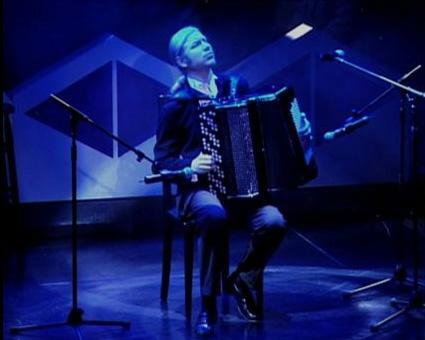 Mazaika was formed in 1996 after Russian accordionist and singer Igor got together with English violinist Sarah. Their mutual broad taste in music and classical background has allowed them to enjoy a wide range of music styles. Their extensive repertoire consists of Russian folk and Gypsy music, Russian and Argentinian tango, classical virtuoso showpieces, opera highlights, Neapolitan songs and French chanson, Hotclub jazz and Igor’s original compositions which always have a strong improvisational element. 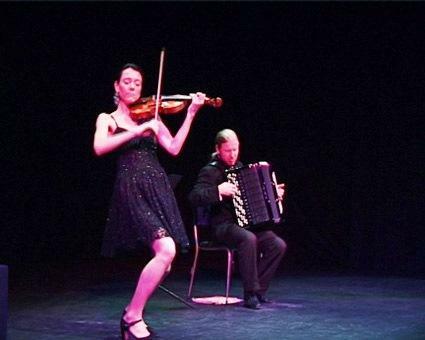 The Mazaika Duo is a perfect, yet totally unconventional marriage of violin, accordion and voice, with performances full of fun, excitement and virtuosity, with emotional depth and musical subtlety. Their twinkling humour, rapport with the audience and with each other gives the audience an intoxicating experience which they will not easily forget. 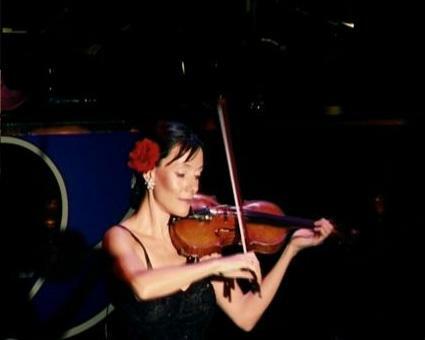 Mazaika can take you on a troika into the heart of Russia, where you will experience the joy and sorrow of Russian folk and Gypsy music and the fiery passion of the gypsy violin. Guitar, Double Bass and Balalaika are sometimes added to the ensemble for this repertoire. Mazaika also performs as a Quartet with guitarist and double bassist. Mazaika Quartet started 2006 by thrilling the audience with a stomping yet soulful performance onstage at the Russian Winter Festival in London’s Trafalgar Square. They have also appeared with their Russian band on the Terry and Gabby Show. They are in great demand for rural touring schemes in Britain. 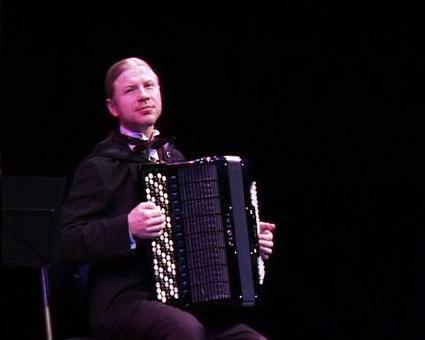 Anyone unfamiliar with the classical accordion will be stunned to hear the instrument’s true versatility; evoking the streets of Paris or a gypsy campfire, yes, but just as easily fooling the ear by pretending to be a chamber orchestra or an organ. 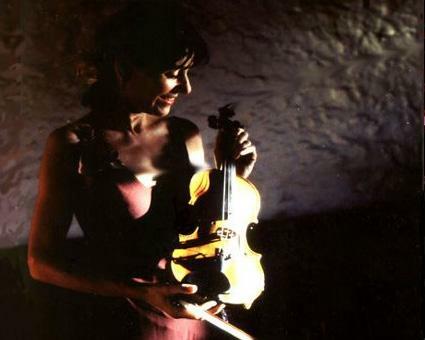 Mazaika’s unique repertoire of classical music and operatic arias includes works by Bach, Vivaldi, Mozart, Sarasate, Brahms, Kachaturian, Rachmaninov, Verdi, Piazzola and others. The programme usually ends with some Russian highlights. 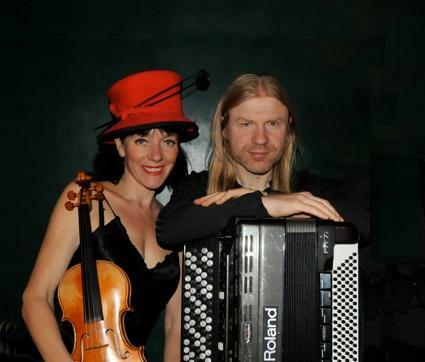 In which the duo presents a brilliant evening of highlights from their Classical and Russian and Gypsy programmes, interspersed with some of their favourites from around the world, including Argentine Tango, Neapolitan song, songs from the twenties and thirties, Bluegrass, Hot Club Swing, Klezmer and popular song. 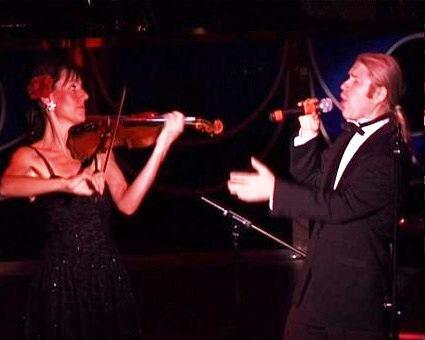 Very popular on cruise ships and for corporate functions, this programme appeals to a wide audience. It can be performed self-contained or backed by a band of three pieces upwards. Mazaika are joined by two guitars and double bass for the evocative and exhilirating sound of Gypsy Swing. Seen recently at IGGF and Le Quecumbar, and at Samois (jamming on the campsite). Cabaret performance 20 -45 minutes. Background performance 2/3 x 45 mins sets. Seriously there are no tunes/genres he doesn’t know and he makes his instrument sound like a total orchestra. It feels strange to hear the achingly glamorous, sweepingly romantic music made by violinist Sarah and tenor/ accordion player Igor during the day. Their divine collection of Russian and gypsy, tangos and cabaret tunes should be played after dark in a smokey late-night dive, where their heady sounds would soundtrack reeling heads and fluttering hearts. Both are classically trained musicians and it shows, also not at the expense of their music’s soul. Their technical ability never gets in the way of entertainment. Harrsion in her fabulous frocks provides drama and comedy; Outkine adds earthiness, fun and even some headbanging. Rather than evoke wild, stirring passion, Mazaika have a warmly emotional sound, and the connection between the two is apparent. Their music feels like a dazzling escape into a world where people dance on tables with roses between their teeth. Mazaika were wonderful! Really made an effort and the guest very much appreciated it. There was a lot of singing and dancing as a result. They were absolutely delighted with the band and thought they were great. The agency were great and most helpful. The musicians were on time and did a great job – very reliable and lovely people.